In the previous two articles, we have established an advanced metric called Net Points per Raid (NPpR) to evaluate raiding performance and another similar one to assess defensive performances in Kabaddi. Together, these metrics helped us build an insight into the team composition that helps achieve success in the Pro Kabaddi League. Following up, we move towards the business side of the league with a preview of the upcoming auction for season 6 of the Pro Kabaddi League. We’ll focus our attention on the players who are expected to see significant gains in their selling price in the upcoming auction on May 30 and 31. For this, we will also use SportsKPI’s own model which has projected the selling prices for all players listed in the auction. 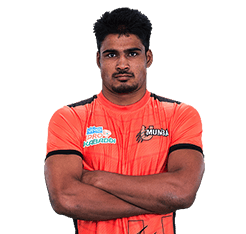 Shrikant Jadhav has been around the Pro Kabaddi League circuit for three seasons now. He represented the Bengal Warriors in seasons 3 and 4 before being picked up by the U Mumba team at his base price of 8 lakhs. He had shown flashes of brilliance when he scored 7 points covering up for Nitin Tomar in his debut game against the Patna Pirates in season 3. But after that, there wasn’t much of note in the couple of seasons at the Bengal Warriors where he scored 10 and 7 points in the two seasons exhibiting NPpR values of -0.14 and 0.12 respectively. The 22 year old came of age while representing U Mumba and forced his way into the playing seven for the second half of the season. He scored 86 raid points including two super 10s at an NPpR of 0.25. He was also a handy Do or Die raider with 0.59 points per Do or Die raid over a total of 37 such raids. He also contributed a tackle per game to the defence scoring 12 tackle points in the process. Post the Pro Kabaddi League season, he also won the Senior National Kabaddi Championships with Maharashtra. In the upcoming auction, he is listed as an A category raider. SportsKPI projects that he’ll be sold for INR 46 lakhs. Pawan Kumar’s story is very similar to Shrikant’s as he’s been around for quite some time. He represented U Mumba for the first three seasons, followed it up with a short stint at the Bengaluru Bulls in season 4. Till season 4, he had scored 87 points at 2.5 per game and had successive seasons with NPpR values of 0.02, 0.04 and 0.06 respectively. 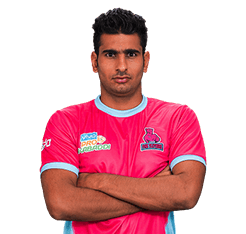 His career saw a sudden shift in momentum when the Jaipur Pink Panthers picked him up at INR 13 lakhs (marginally above his base price of INR 12 lakhs) in season 5. Here, he scored 122 points including 3 super 10s at an NPpR value of 0.19. He also scored 0.57 points per Do or Die raid. Pawan is listed as an A category raider and is projected to be sold for INR 51 lakhs. This is turning into an exhibition of newly promoted A category raiders with the trend lines of the next entrant K. Prapanjan having start similarity with the previous two entrants of the list. 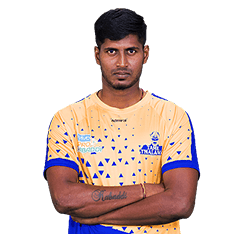 After representing U Mumba in seasons 2 and 3, he moved further south to the Telugu Titans in season 4 followed by the Tamil Thalaivas in season 5. Till season 4, he had scored 21 points with NPpR values flirting very close to the 0 mark. Moving home to the Tamil Thalaivas for INR 15 lakhs triggered a sudden upward trend in the performance of this raider. He scored 124 points in season 5 including 3 super 10s at an NPpR of 0.18. He was one of the primary raiders for his team and with almost 18% of his points coming in the form of bonus points. He also scored a respectable 0.56 points per Do or Die raid. 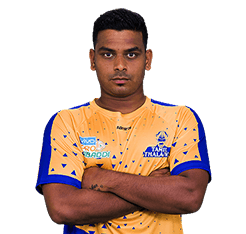 With very few left sided raiders in the auction, K Prapanjan is expected to get a huge birthday present when he is sold for close to INR 50 lakhs in the upcoming auction. Special mention has to go to Rahul Chaudhari who was retained by the Telugu Titans last season. SportsKPI projections suggest that Rahul will be the costliest player in the auction this time. All the best, Rahul! In the coming weeks, we will publish more innovative analyses assessing player performance and will share more insights from the game. Please continue sharing your thoughts and/or suggestions. If you have any PKL related topic you want to read about, please drop a note in the comments section. This entry was posted in Kabaddi and tagged PKL, PKL 6 Auction, Pro Kabaddi, Sports Analytics, SportsKPI. Bookmark the permalink. Darshan is my favorite player..